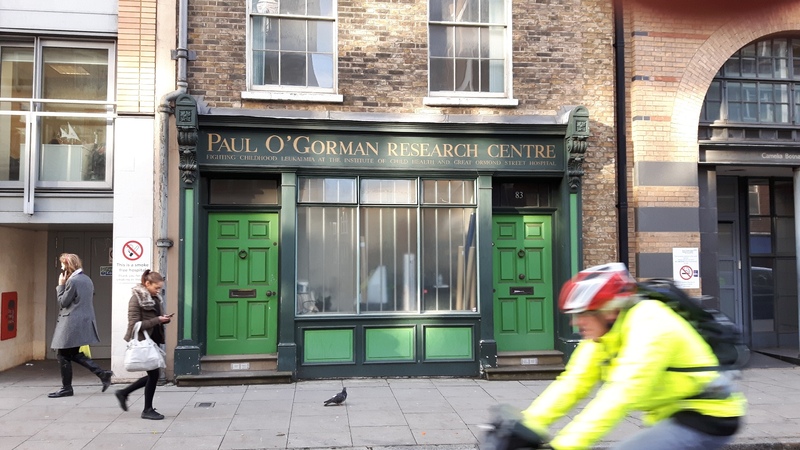 The Paul O’Gorman Childhood Leukaemia Research Centre, an emanation of the British Charity Children with Cancer UK, opened its section at the Great Ormond Street Hospital in London in 1995. This beautiful "shop entrance" (83 Lamb's Conduit Street) remembers the original facilities of the research center1. 1. See the Children with Cancer UK official website.